We are constantly on the lookout for new job postings in the luxury lifestyle sector because we know how many people out there are looking to get their foot in the door of this fun and exciting industry. From sales jobs to managerial positions, this week we have 3 promising new career options to present, and ambitious job-seekers would be well-advised to take a look and see if they have the necessary qualifications to apply! Dubai has long been known as one of the world’s premiere luxury travel destinations, hosting not only the world’s tallest building (the Burj Khalifa), but a plethora of other architectural marvels as well, including indoor ski slopes and symmetrical man-made island chains. If living in this beautiful Middle East metropolis sounds good to you, then this job opening at an unnamed luxury hotel should be right up your alley! Applicants will be directly responsible for revenues generated from guest room and banquet/catering charges, and will be expected to work alongside the marketing department and the rest of management to maximize the hotel’s sales. While no formal qualifications are listed, presumably prior experience in the luxury hotel industry and either Business or Hospitality Degrees would be seen as desirable. Interested applicants may find the job posting here on Bullhorn Reach. When it comes to pre-loved luxury fashion, there are few brands more widely respected than Decades Inc. This Los Angeles-based retailer carries a huge assortment of both vintage and modern pre-loved clothing and accessories, making it a mandatory shopping destination for many fashionistas. 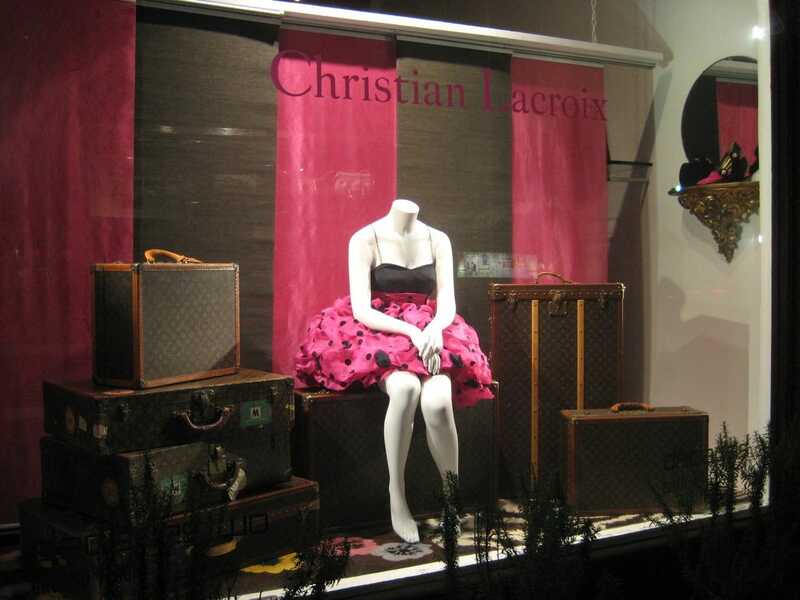 However, that popular destination could soon become a workplace for 1 lucky applicant because Decades currently has an opening for a luxury sales associate at their flagship store on Melrose Avenue. The only particular qualifications which they request applicants to have is prior sales experience, so if you have at least that to your name, by all means go ahead and send your resume to Jen@decadesinc.com! You can see the job listing on Decades co-owner Christos Garkinos’ Instagram page here. If you want to find out more about Decades before applying, you can visit their official website, their Facebook page, their Twitter account @decadesinc, their Pinterest page, or their Instagram account. Based in Scottsdale, AZ, this marketing manager position will offer a front-line view of one of the most dynamic luxury real estate markets in America. The job itself involves a wide range of both conventional and cutting-edge marketing techniques, ranging from overseeing social media accounts and writing blog posts to showing properties to potential buyers and engaging in both local and online outreach. An ideal applicant for this position is expected to have a Degree in Marketing and/or Business Administration, good computer/social media skills, and either an active real estate license or a willingness to acquire one. You can view the official listing for this job on LinkedIn (though note that you must log in to see it). If you want to learn more about Matheson Team RE/Max Fine Properties, check out their website, their Facebook page, their twitter account @themathesonteam, or their Pinterest profile.